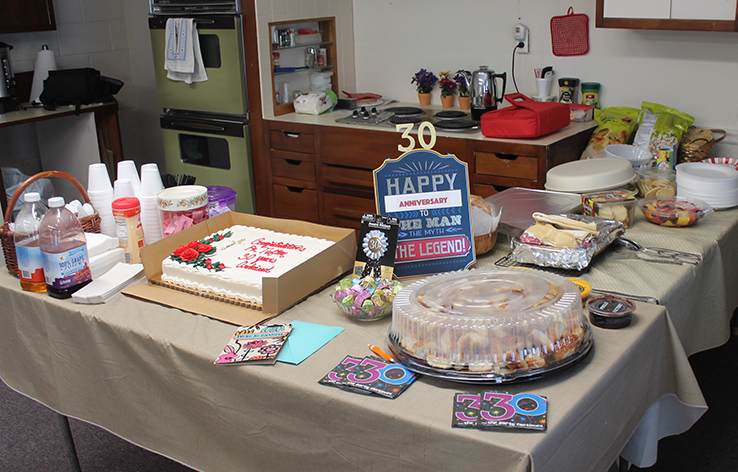 Today, March 17, 2019 we celebrated the 30 year anniversary of Fr. Bob's ordination as an Anglican Priest. We had a huge crowd, lovely service, and wonderful food. Thank you all. On September 16, 2018 we had a large congregation of present and past members plus guests and on-lookers to celebrate the consecration of our church. 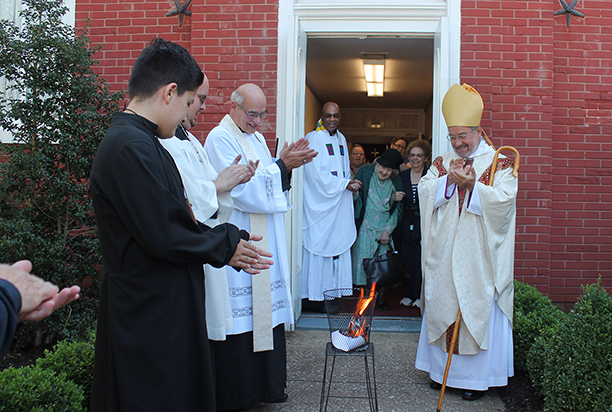 The service was conducted by the presiding bishop of the Anglican Province of America - Bishop Walter Grundorf along with Holy Spirit Anglican's rector Fr. 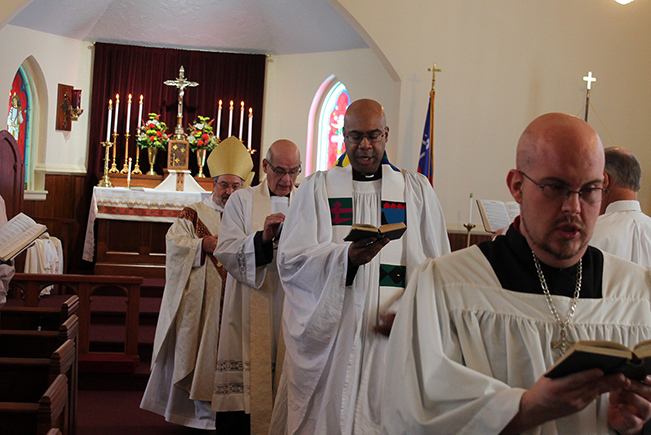 Robert T. Tufton and guest priest Fr. James Johnson from All Saints Anglican Church in Lancaster, PA. In his remarks Bishop Grundorf asked us to pray for All Saints' Anglican Church in Wilmington, North Carolina and its priest, the Right Reverend David W. Haines currently besieged by hurricane Florence. His sermon was based on the gospel for the Consecration of A Church (BCP 1928), St. John ii. 13. And he reminded us of the need for all of us to be ministers of the church in our everyday lives. Afterwards we celebrated in our dining hall with a sumptuous luncheon prepared for us by the ladies of our congregation. It was a wonderful, up-lifting, and joyful Sunday morning. 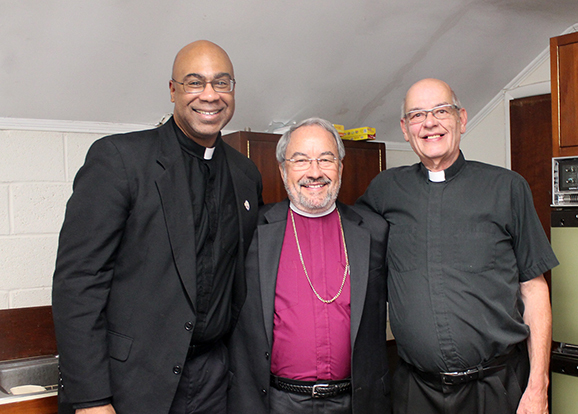 Thank you Most Reverend Walter H. Grundorf, Reverend Robert T. Tufton, Reverend James Johnson. 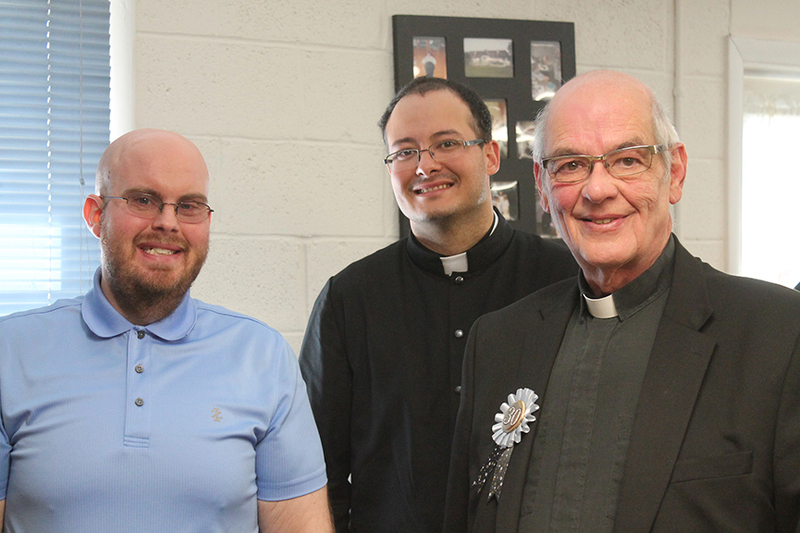 From the left, Bishop Walter Grundorf, Fr. 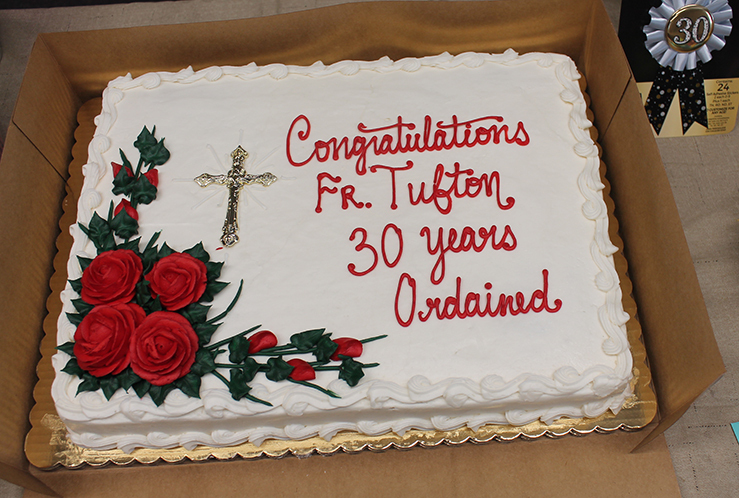 Robert T. Tufton, Fr. James Johnson, Seminarian Gregory Gibson. 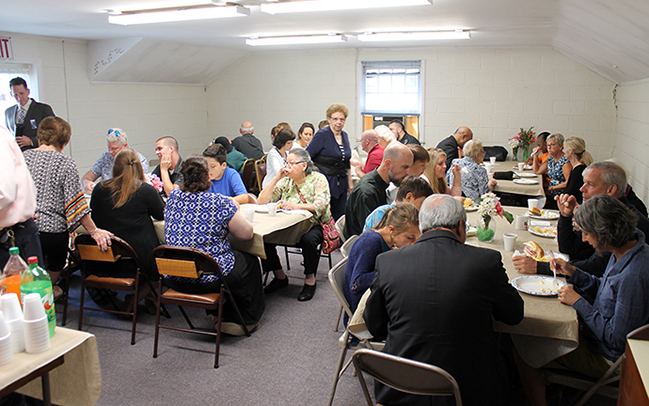 Lots of fun (and great food) was shared by all after the service. 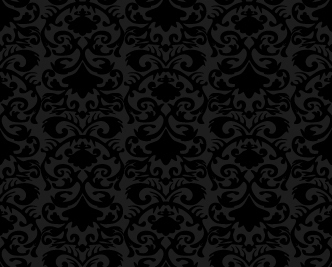 Last updated - March 20, 2019.